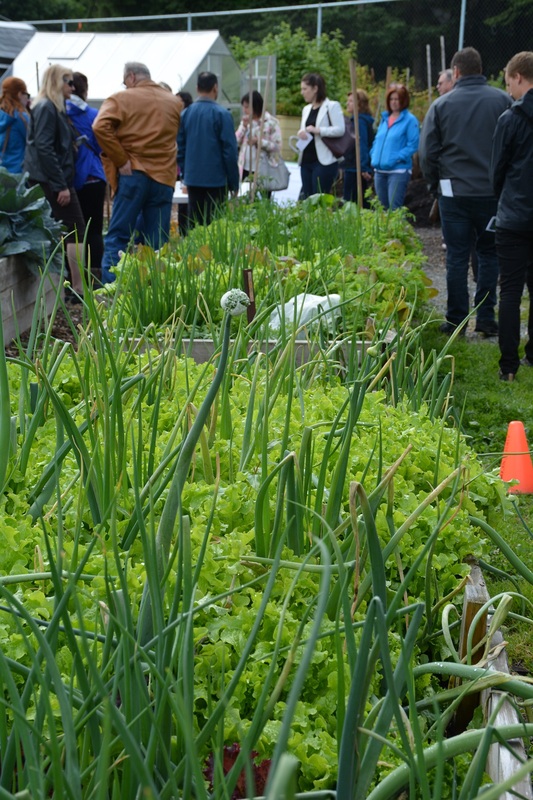 An urban farm flourishes in downtown Abbotsford: a collaboration between ACS and Day 1 Urban Farm. 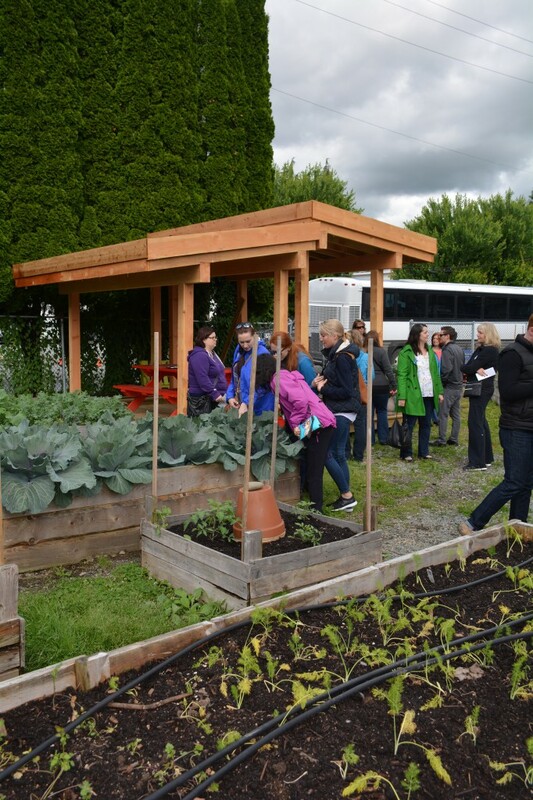 Each year, the Abbotsford Chamber of Commerce organizes an Agriculture Bus Tour—open to anyone interested in learning more about our region’s top industry. 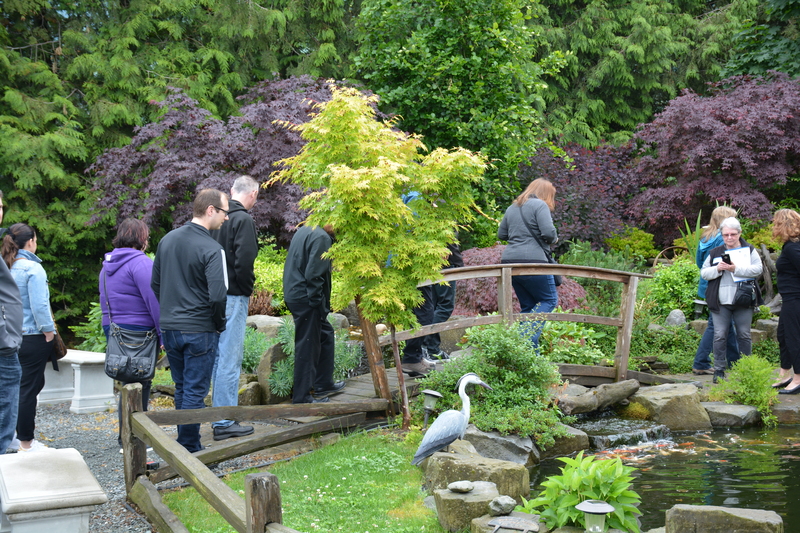 It’s a full-day field trip and an opportunity to discover new and innovative agri-businesses in Abbotsford and network with other community members. Following a meet-and-greet hosted by the RBC Royal Bank on South Fraser Way, which included coffee, donuts and muffins, we boarded a comfortable coach and were welcomed by our host, Gwen Settle, Ambassador of the Abbotsford Farm & Country Market—an excellent start to an adventure-filled day! 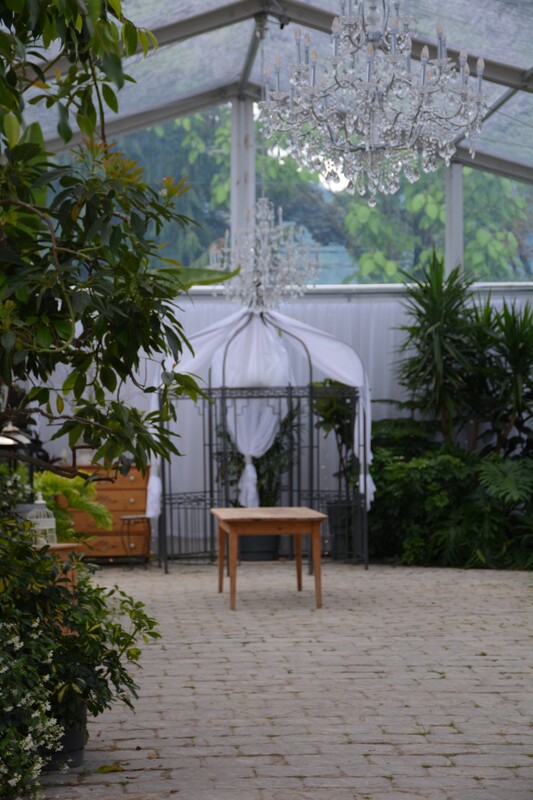 Out itinerary included an urban farm, a winery, a brewery, and a greenhouse manufacturer. Lunch was served at the University of the Fraser Valley, while we listened to Garry Fehr, Director of the Agriculture Centre of Excellence. Garry spoke about how we need to change the way we grow food and embrace innovation and leading edge technologies in agriculture. He knows farmers will adapt to the changing climate and growing demand for food by adopting new approaches and strengthening our food security. The university plays a crucial role in training future farmers and advocating for more sustainable agriculture. Our first stop was Ripples Estate Winery and Echo Nurseries and Woodbridge Ponds on Tolmie Road, where owner Caroline led our group on a tour of the relaxing picnic gardens, koi ponds and special event tent decorated with lush greenery, antique furniture and cobblestones underfoot. 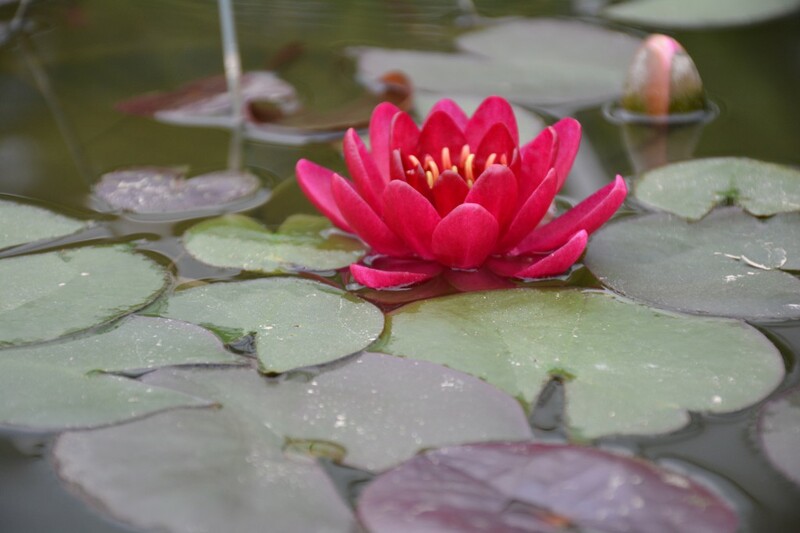 Caroline explained how her family purchased the land which once housed a pig farm, and converted it to grow water hyacinths and other floating plants, which they ship to nurseries across Canada. They also sell pond supplies through their on-site retail outlet. The family also launched into organic blueberries, eventually experimenting with juice production, then wine making. All of the wine is processed and bottled on site, and each year the winery will be recertified through the CanadaGAP® food safety program to ensure best practices are being followed. We ended with a sampling of their dinner wine, dessert wine, and port, along with a charcuterie selection and sweet frozen blueberries. The winery and tasting room opened in May 2017, and the hard work the owners put in couldn’t be more evident as you meander through the zen-like grounds which are open for picnics, or repose in the sitting areas, enjoying the peace and tranquility. When Marina Gibson approached Abbotsford Community Services in 2015 about turning an empty gravel lot into an urban garden, the idea was warmly received and work on the project quickly progressed. With help from volunteers and local teens from the Youth Resource Centre, Marina, as garden manager, soon encouraged a green oasis to sprout amid the concrete. Now the community garden supplies local restaurants, including Harvest Grill & Greens and Oldhand Coffee, with a bounty of produce. Marina hopes the garden will eventually be profitable, and that it will become a community gathering place to learn about urban farming. The greening of city spaces is of benefit to every resident and the environment. 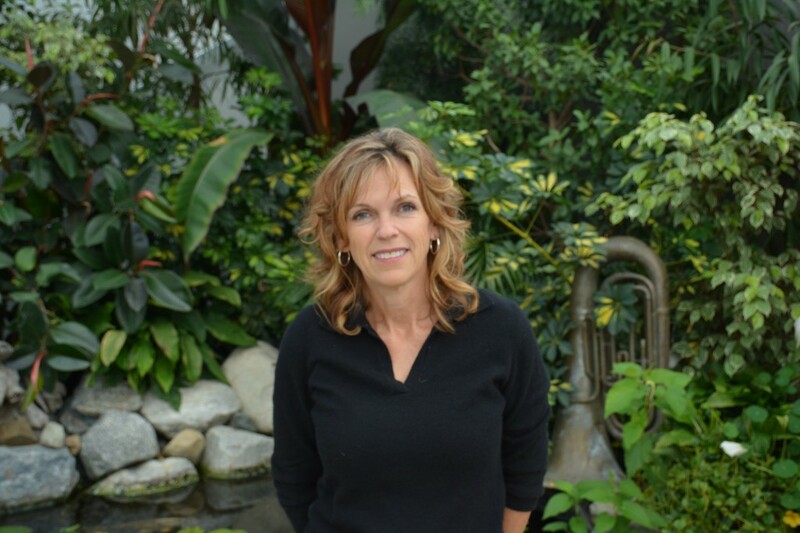 This summer, Marina will oversee workshops so that members of the community can help create a green patchwork roof for the newly constructed gazebo on the lot. When she began, Marina watered the garden with buckets and wheelbarrows, using a faucet attached to a building across the parking lot. She acquired long hoses which were a bit of an improvement, and now rain barrels collect water which is run through drip lines. Marina also made ollas, which she demonstrated to our tour group. 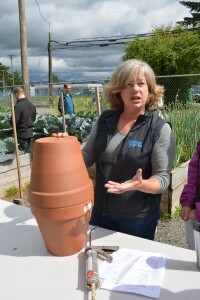 Ollas are made from terracotta pots and waterproof sealant. When planted in the raised garden beds and filled with water, they provide irrigation to the plants around them as moisture slowly wicks through the clay and into the soil. The pots only need filling once a week. 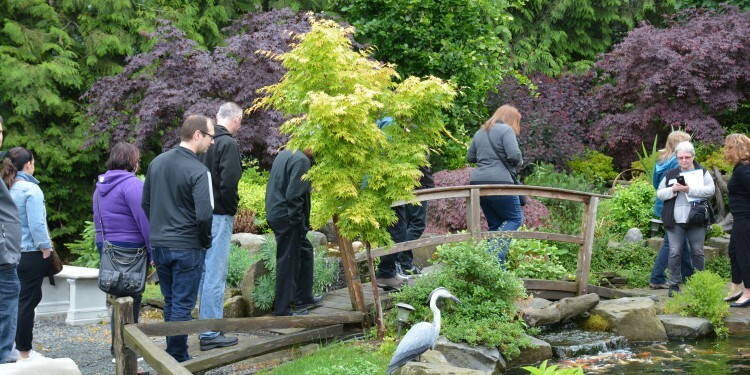 Partial funding for the urban garden project was provided through a Canada 150 federal grant, and proceeds go to the Abbotsford Community Services. 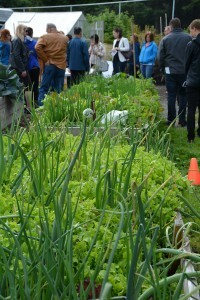 Considerable help from several community partners also contributed to the garden’s success. Well worth a visit to witness the ingenuity behind this project, which is hopefully the first of many urban gardens in Abbotsford. 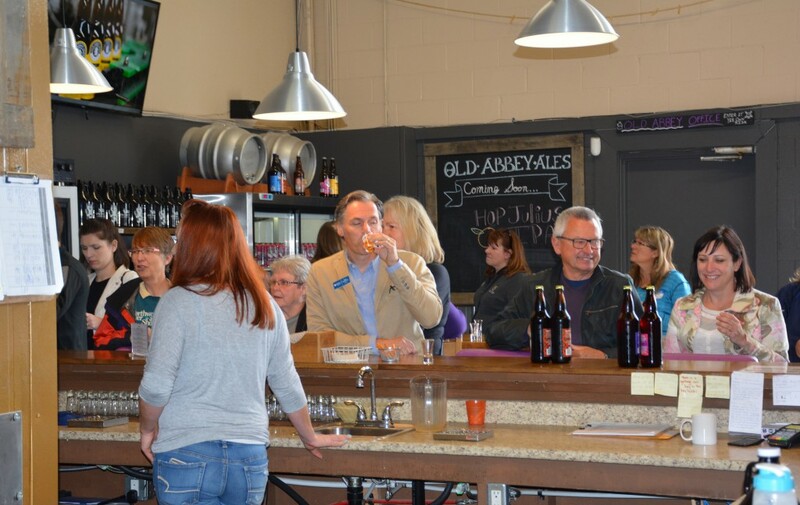 Premium craft beer is brewed, bottled and sold through Old Abbey Ales’ Fraser Highway location, which was originally built to house and demonstrate brewing equipment from Brew-Stuff. 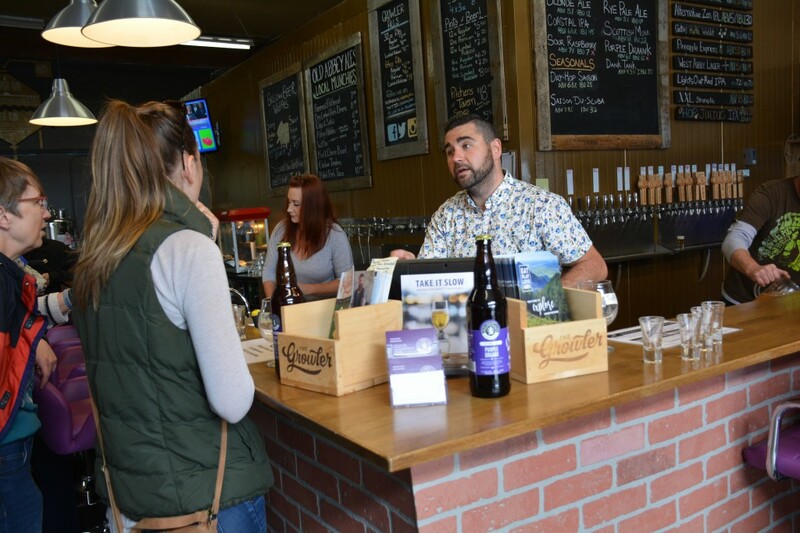 Nicolas Mielty, Operations Manager, described how collaborations with local farmers and other brewers contributes to their success. It is important to them to continue to build on those relationships. As we sipped a sample of the Sour Raspberry in the tasting room, Nicolas listed other local fruits they plan to incorporate into their ales including: blueberries, goji berries, and currants—delicious! Head Brewer, Steve Black, learned his craft first as a home brewer, and then as a brewer’s assistant in the US. 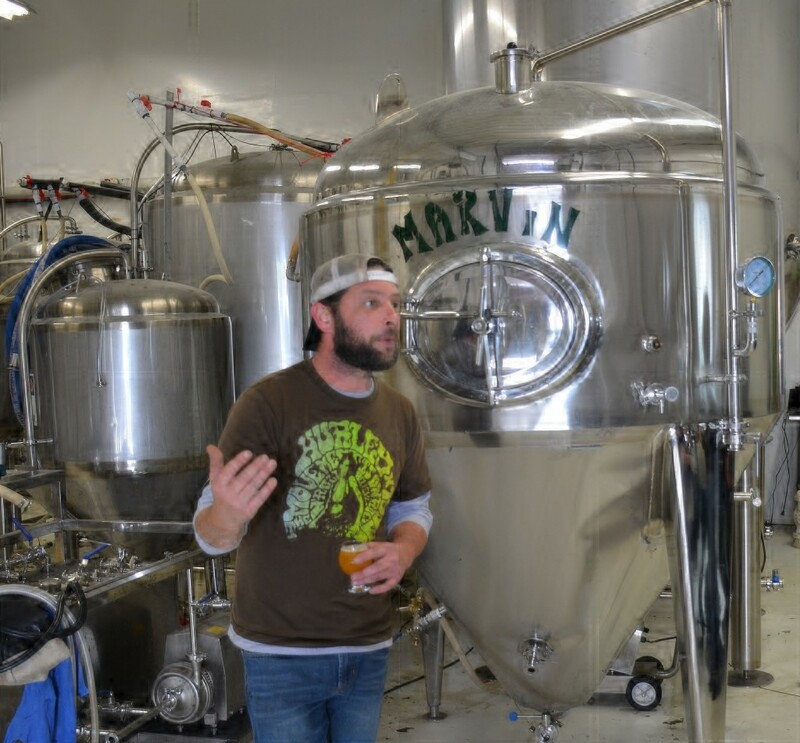 After introducing us to “Marvin”, a gleaming steel kettle—which does indeed resemble the cartoon Martian’s spacecraft—Steve described the fermentation process and how each stage is timed and monitored carefully. We were also invited to view the factory floor where product is bottled, labeled and shipped to local liquor stores, pubs and restaurants. Old Abbey Ales is a welcoming place to visit and sample a flight of locally crafted brew. Sampling some Sour Raspberry, putting Fraser Valley berries to good use. Many might be amazed to learn about the evolved food systems and controlled environment structures that are being designed in our own backyard. Our group was certainly impressed during our tour of BW Global Structures on Fraser Highway. 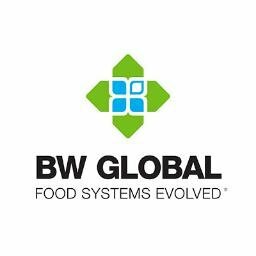 BW Global is working with cutting edge designs and high tech equipment and travelling to every continent to share their solutions for global food and water issues. Timothy Kendrick, President and Chief Designer, and his team of strategists create enhanced growing environments for every application from the home gardener to multi-acre operations. Timothy believes that technology and new thinking are critical to feeding the world in the future, and his company is collaborating with others to educate about controlled environment growing and how it can secure a region’s food supply while reducing strain on the environment. He would like to see a future where ANYone can grow ANY crop, ANYwhere, ANYtime. Watch more informational videos here. You can visit BW Global’s website to read about all they are accomplishing with their polycarbonate weather-proof structures, 100% sealed environments with improved light dispersion, and collaborations to create off-grid systems that can be dropped into the harshest environments to provide fresh, nutritious food. Thanks to the Chamber of Commerce and all of the sponsors for this educational, entertaining and thoroughly enjoyable annual event. British Columbia Chicken Marketing Board, Farm Credit Canada, RBC Royal Bank, KPMG, BC Egg, Community Futures.